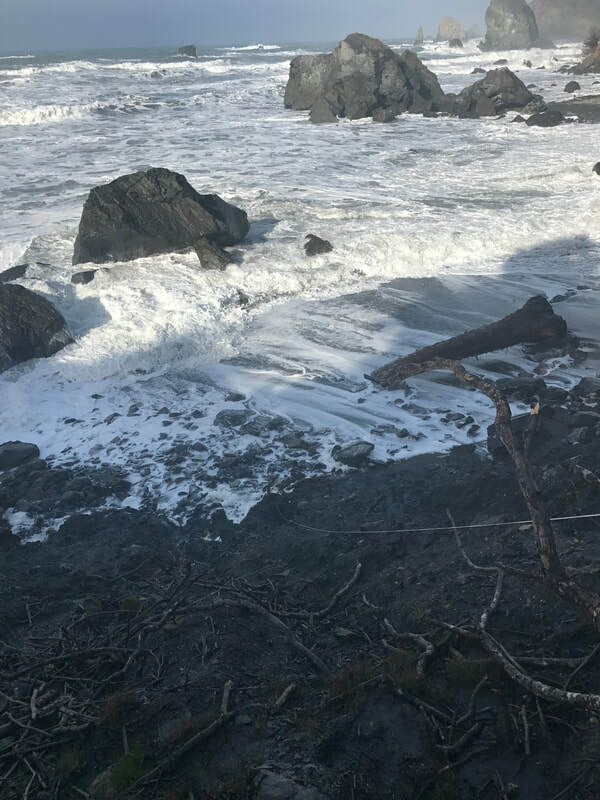 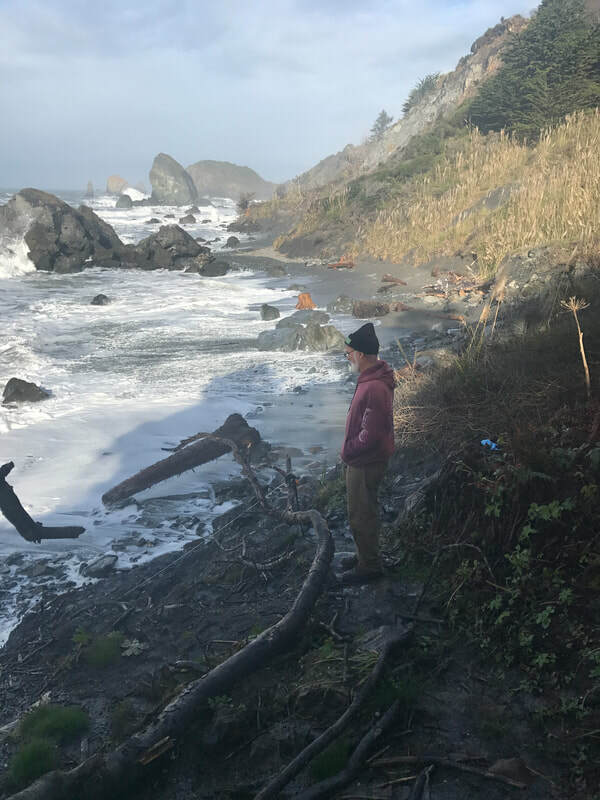 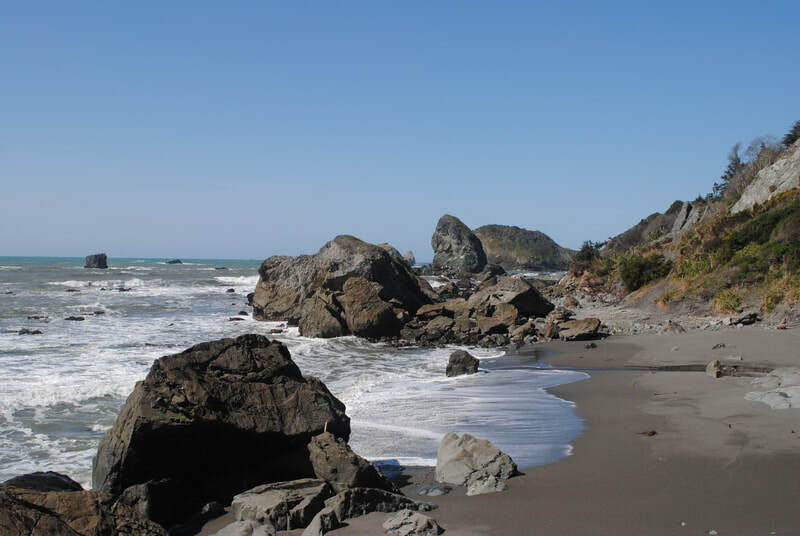 Just north of Trinidad along Stagecoach Road, the Martin Creek Trail to Secret Beach is a rugged, sometimes steep forest and beach access trail along private property. 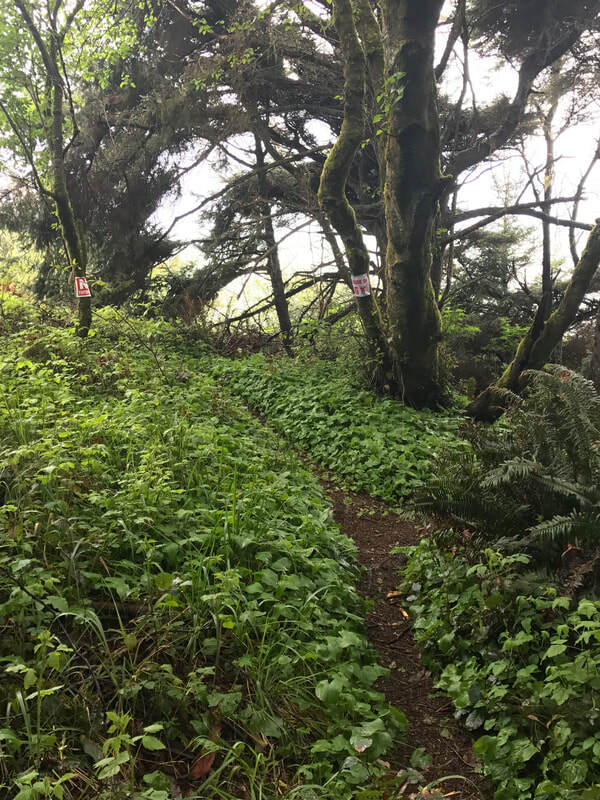 This trail is undeveloped and requires the cooperation of the public in maintaining both its privacy and dry weather access. 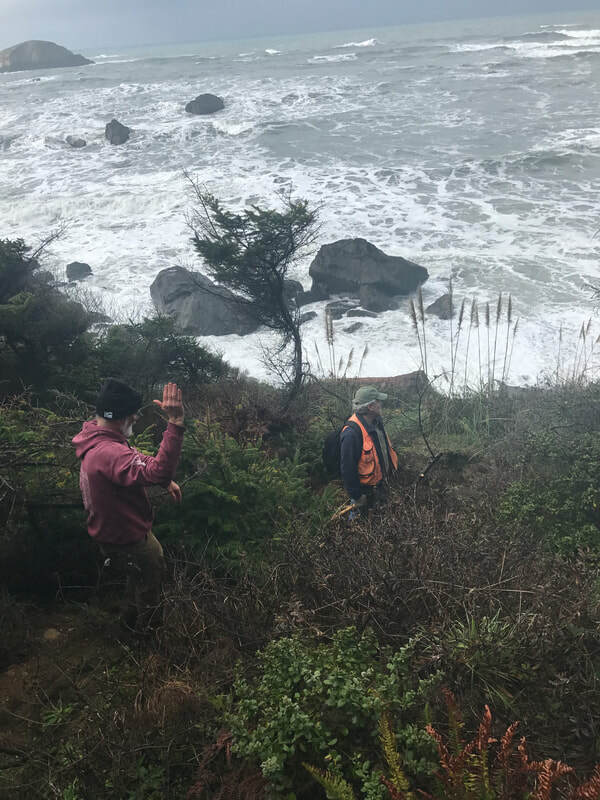 Note that this trail is not advised in wet weather or during large ocean swells. 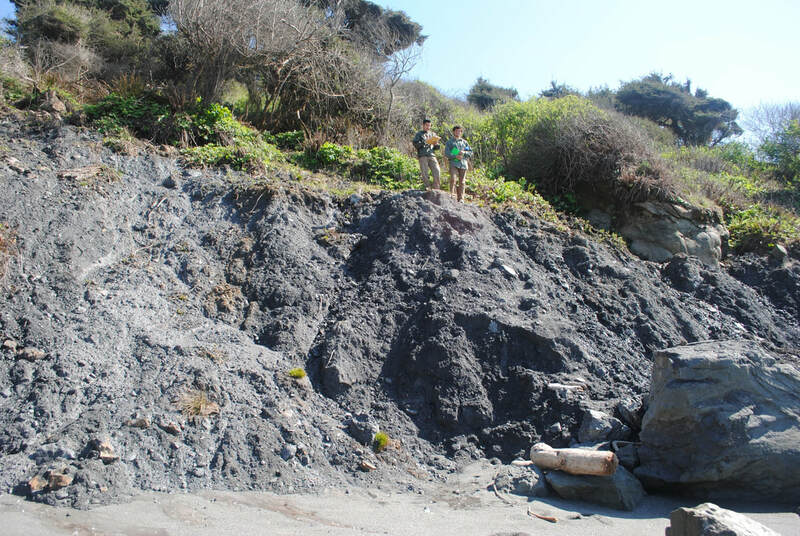 The final 100 feet to the shore requires walking over clay mud (aka the 'blue-goo') that is very slippery when wet. 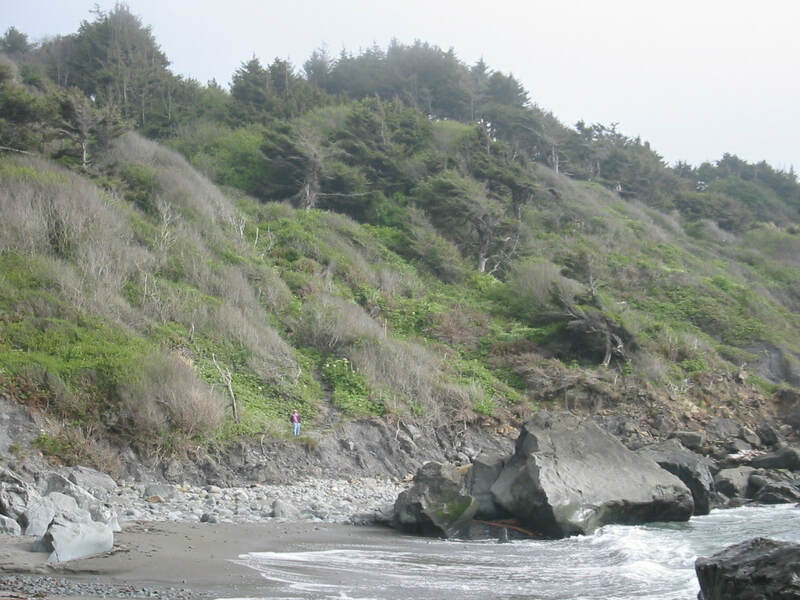 Best to enjoy this beach trail in the summer!